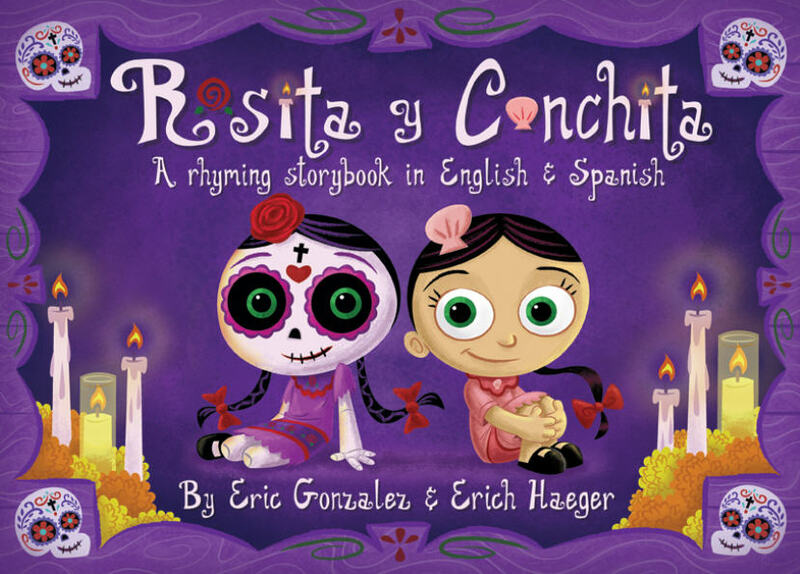 Mommy Maestra: Rosita y Conchita Book and DOLL! YES! I'm happy to say that my first Rosita y Conchita shipment of the year has arrived! Some of you already know since I started getting order requests a month ago. These books sell fast - I placed three big orders last year and still sold out - so if you are interested in purchasing your own copy, click here. Have you already purchased your copy? Then maybe you'll be interested in my little surprise for this year: the new Rosita doll! She is so freaking adorable I just can't stand it! Rosita is a cloth doll, about 10 inches long with embroidered facial features and black yarn hair. Absolutely preciosa!! She is the perfect companion to the book. So if you'd like to purchase the book, the doll, or save some $$ and buy the set, go here and place your order. SOLD OUT! OMG There's a doll!! I want one! I just purchased the book on Amazon!